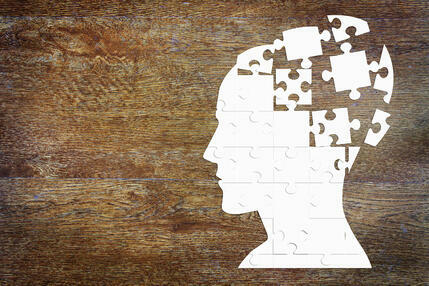 Ideation can be applied both internally and externally. When ideation is used internally, businesses seek to gather ideas from their employees, who work on and develop the products and services. Internal ideation often consists of group activities such as brainstorming sessions and prototyping (depending on the industry). When ideation is used externally, businesses usually target their pool of existing customer since who knows their product better than those who actually use it!? Customers have the knowledge to provide businesses with ideas on product/service improvements, so most external ideation efforts are directed this way. 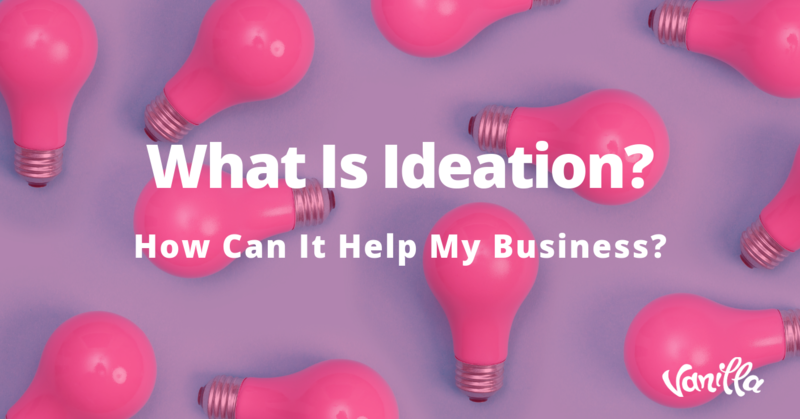 Ideation is one of the most necessary components of a business strategy, and if you don’t have a process for ideation, it’s unlikely that your business will see constant improvement and will therefore be unable to deliver what your customers actually want. While it’s important to get ideas internally, it’s more important that ever to get ideas from your customers. Your customers are the ones who actually buy and use your product or services, so being able to deliver what they actually want is the key to success. Getting ideas from existing customers will not only help you retain the customers that you already have, but it will allow you to transform your products and services into more attractive options for other consumers. What this means is that you need a viable way to collect customer feedback and a way to analyze this information so that you can draw conclusions about what customers want. Customer feedback provides you with all the data and information you need to make your product and services better. Fortunately for you, in the right circumstances, customers will eagerly to provide you with feedback and ideas for improvements. Now that’s a win if I ever saw one - who doesn’t like a two for one? As discussed above, gathering feedback on existing products and services is one of the most important aspects of a business, and is a core component of external ideation. A successful company needs to be open and agile in their business approach; it’s about consistently adapting to the needs and desires of the customer. To successfully design a customer-centered product or service, you need to know what it is that your customers are looking for. Once you know what it is that your customers actually want, you can improve your products and services and stay ahead of the curve. An example would be learning that your customers are demanding to access your website via their smartphones and think you should make your website more mobile responsive. With this feedback, you can work to improve your website and deliver a better customer experience. What will be your businesses next big product or service release? How do you know that it’ll do well? Is there a demand for it? Well, ask your customers! Or better yet - just listen to them, then ask questions. If you provide a space for your customers to share ideas, you might be surprised at just how many good ideas there are out there. Why hire staff to come up with great new ideas when you can crowd-source knowledge and get ideas straight from the people who spend the money? Customer engagement refers to the methods by which a business reaches out to its customers in order to establish a relationship and increase brand loyalty. Connecting with customers and asking for their input on products/services is one of the best ways to engage a customer. 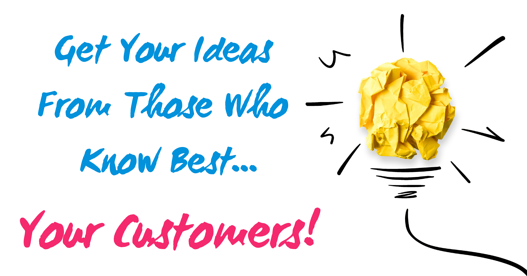 Customers want to be heard and they love it when businesses look to them for ideas. One of the best ways to keep your customers engaged is to ask them for their ideas, opinions and feedback on your products and services. All of the factors that increase brand loyalty can be increased and improved through ideation. 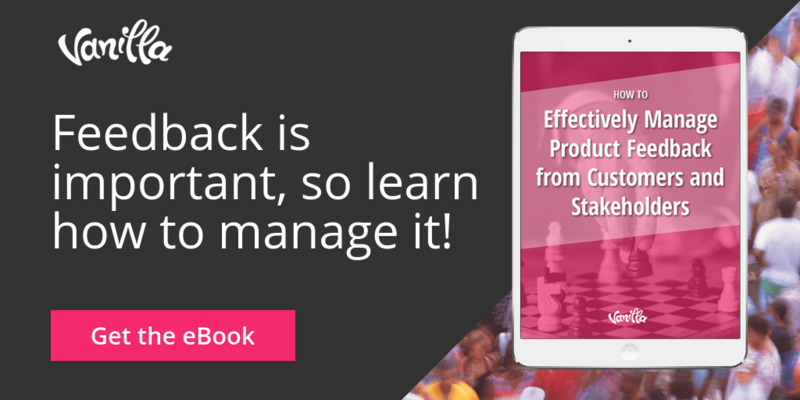 It’s as easy as simply asking your customers what you can do to improve. 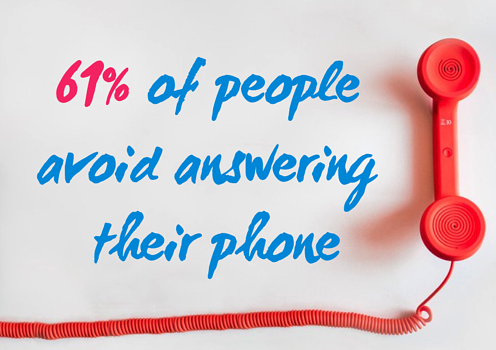 Asking is caring - something that a lot of customers feel they don’t get too much of. 68% of customers who left a business actually left because they felt the business didn’t care about them. So asking is really the first step in fostering a sense of loyalty around your brand! There are essentially 4 main methods used to collect customer ideas, but community is by far the best method. By the end of this section, I’m sure you’ll agree. Many businesses will conduct customer research to get to the bottom of what makes their customers tick. What do their customers want, and what improvements could be made? Conducting research at scale through the use of surveys and polls generally requires a deep pocket - these methods can be very expensive. You really just have to pay out and then cross your fingers and hope for a high participation rate. Unfortunately, the average survey response rate is only 33%, so don’t set the bar too high on this one or you might be left disappointed. I’m sure you’ve all gotten this call at some point in your life. I, myself, get these types of calls all the time. I should also mention that I only answer these calls after receiving them every day for weeks at a time. As it turns, out, statistically, 61% of people out there are just like me. Sufficient to say, this probably isn’t the best way to get customer ideas and feedback. The other way that businesses can ask customers directly is through email, but the results aren’t much better. Post-action feedback forms refer to when a business asks a customer for feedback immediately after doing something. For instance, after using a live-chat option, the business will ask the customer for feedback on their experience and how it can be improved. Post-action feedback is actually incredibly important and should be used as often as possible. Providing customers with an option to give feedback immediately after their experience means that the information given is fresh and can therefore tell an accurate story of a customers’ emotional experience with your brand. While post-action feedback forms are best used for improving existing products and services, they can’t really be used to collect ideas on new developments. This is where community comes in. Remember when I was talking about the 2 for 1 win when it came to offering your customers a place to provide feedback? The two benefits being collecting ideas (ideation) and improving your customer engagement and loyalty? Well, I was mostly referring to a community. Through an online community, you can make the most of these benefits because a community itself already works to maximize these benefits. 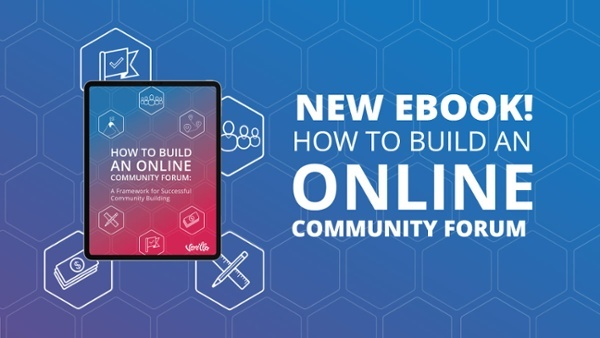 An online community is exactly what it sounds like - a virtual, online community of people that gather over something that they have in common, which in this case, is your brand. 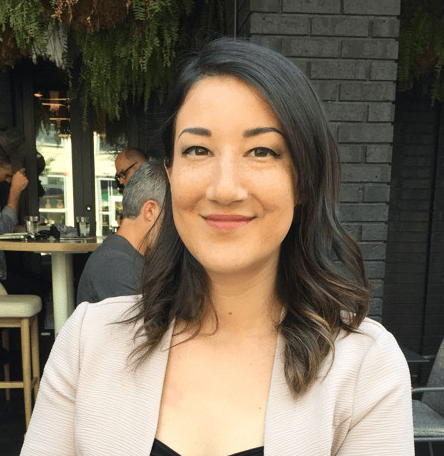 In communities, customers can give feedback, share ideas and through ideation, and can comment and rate the suggestions of others (for example, with a thumbs up or down). Ideation within a community has one huge benefit - businesses can encourage and reward this type of behaviour through the use of gamification. The best part - when using an online community for ideation, the data within the community is easy to collect and analyze. This means that reporting is easy and you can quickly determine what the most popular customer ideas are and exactly how much support they have. Okay, so we know that community maximizes the benefits of ideation, but unfortunately, not just any ol’ community will do. What I mean by this is that a community built on a social media platform is a lot different than a branded community. While each is still awesome (because communities themselves are awesome) a branded community does a better job at optimizing the points above. The cherry on top is that a branded community also adds more benefits, including protecting personal privacy - but that’s a story for another time. 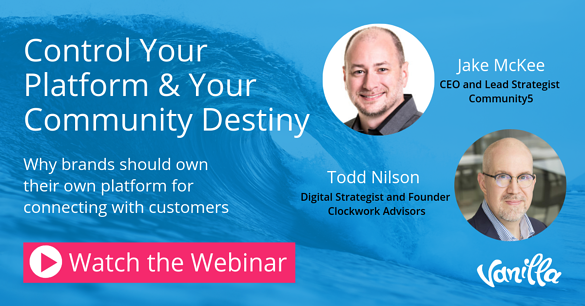 But if that time for you is now and you want to read up on this story, check out our blog Control Your Platform & Your Community Destiny based on a webinar we had with two community experts. If you’re less of a reader and more of a listener, download this free webinar - it’s worth a listen!